When you enchant or recharge item, a soul is not removed. You can use same gem to enchant infinitely. Mod prevents game from removing gems and souls in the gem. You can use use one soul gem indefinitely. Patches game code so that game thinks all gems are Azura's Star and prevents removing the soul in a gem. Why make it like this? There is no ESP and nothing is saved to save game. This allows you to safely install and uninstall mod whenever you want, also it doesn't count towards mod limit. Works with all other mods and custom stuff. Requires SKSE and latest Skyrim version. Source code is also available to download. Here is another mod that makes enchants on weapons infinite: http://www.nexusmods.com/skyrim/mods/64131/? Here is another mod that makes poisons on weapons infinite: http://www.nexusmods.com/skyrim/mods/64142/? 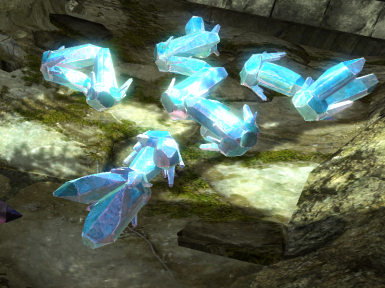 Here is another mod that makes arrows infinite: http://www.nexusmods.com/skyrim/mods/64171/? Here is another mod that prevents invisibility from being removed when you do things: http://www.nexusmods.com/skyrim/mods/64541/? Here is another mod that prevents ethereal form from being removed when you do things: http://www.nexusmods.com/skyrim/mods/64771/? Here is another mod that removes lock picking: http://www.nexusmods.com/skyrim/mods/64588/?